The process of buying or selling a home is filled with decisions. You can base many of those decisions on objective criteria, like how many bedrooms you want or what price comparable homes have fetched. Often, though, people decide which agent to hire without giving it much thought at all. That could be a big mistake. Just because an agent is successful doesn't guarantee that he or she is the best agent for you. With so much riding on this transaction, you not only want someone who understands your goals and has the ability to help you achieve them; you also should make sure you have a good rapport with that person. A good starting place in choosing an agent is asking family and friends for recommendations. But don't stop at asking them for a name. Find out what they liked about their agent, if they encountered any problems working with that person, how (and how often) their agent communicated with them, and what kind of results the agent helped them achieve. Sure, it's helpful when someone says, "My agent was great," but try to find out exactly what that means. On the other side of the equation, feel free to ask for references from any agent you are considering hiring. Don't just get a list. Call those people and ask them questions about their experience. Research from the National Association of Realtors consistently shows that most people hire the first agent they contact. The first person you contact may very well be the best choice for you. However, you might want to interview a few agents to see how they differ and figure out who you believe will do the best job for you. What is the agent's track record or specialty? When interviewing an agent, you will want to know if that person has the ability to accomplish what you want. For example, you may decide that a condo specialist will have more success finding you the condo of your dreams, or you may want to list your home for sale only with an agent who does a certain amount of business in your neighborhood. You can find out if the agent has advanced education or designations in certain disciplines, like working with buyers, seniors, or commercial property. What will you actually do for me? Make sure you know how an agent will help you market and sell your home, or locate a home to buy. The more specifics you find out, the better. Agents and firms offer various levels and different types of service. Some agents will even offer different services and fees depending on what you require. Communication is a big part of any relationship. If you expect to hear from your agent every morning by e-mail and she only calls you every Friday, things will not work out the way you hoped. Make sure you're both on the same page, so everyone benefits. Perhaps this should be the first question you ask any agent: "Are you a Realtor?" You might think there's no difference between an agent and a Realtor, but you'd be wrong. A real estate agent is someone who is licensed by the state of Texas to sell real estate. That agent only becomes a Realtor by joining the local association of Realtors, such as the Houston Association of Realtors. Realtors go above and beyond what is required of agents. Realtors also subscribe to a strict code of ethics. This ensures that you receive the highest levels of professionalism and integrity throughout the home buying or selling process. 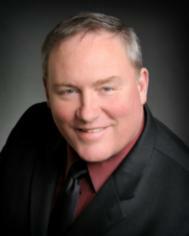 For more information on buying or selling property in Texas, I invite you to visit http://www.texasrealestate.com/ or http://www.har.com/ and for all of your Pearland TX and Northern Brazoria and Galveston County real estate needs, please visit my site at http:///www.danfrankrealty.com. Danny Frank is a local Pearland Real Estate expert. This column was published in the 25May08 edition of the Galveston County Daily News. Is your MLS in jeopardy of folding??? ?